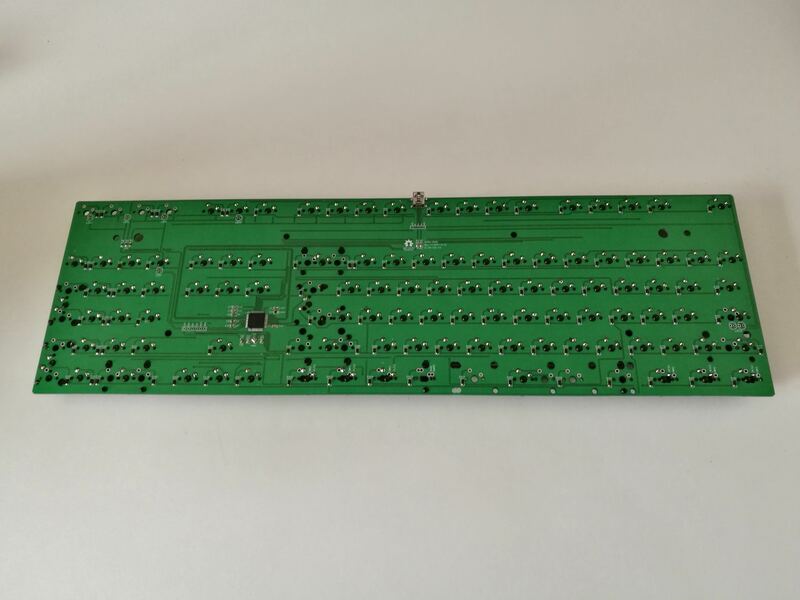 As the name suggests, the GH80-3000 is intended to be a replacement PCB of the Cherry Corp. G80-3000. Nota bene: 6.25u spacebar stabilizers holes overlap with the 2u split spacebar, I recommend using screw-in stabilizers for either of the two. Alternatively, a 60% plate would fit into the case and be a valid solution. G80-9013 Layout is supported but in-switch LEDs for the extra four buttons are not. UPDATE 2018/04/01: Came across a G80-1192 keyboard and it looks like the PCB fits perfectly. Here's some pictures. from 101 to 117 Cherry MX switches or clones, according to the desired layout. EasyAVR: Starting from v3.00.00 beta.4, the GH80-3000 is now officially supported. QMK: firmware for the GH80-3000 is now officially supported. Please update your repository. 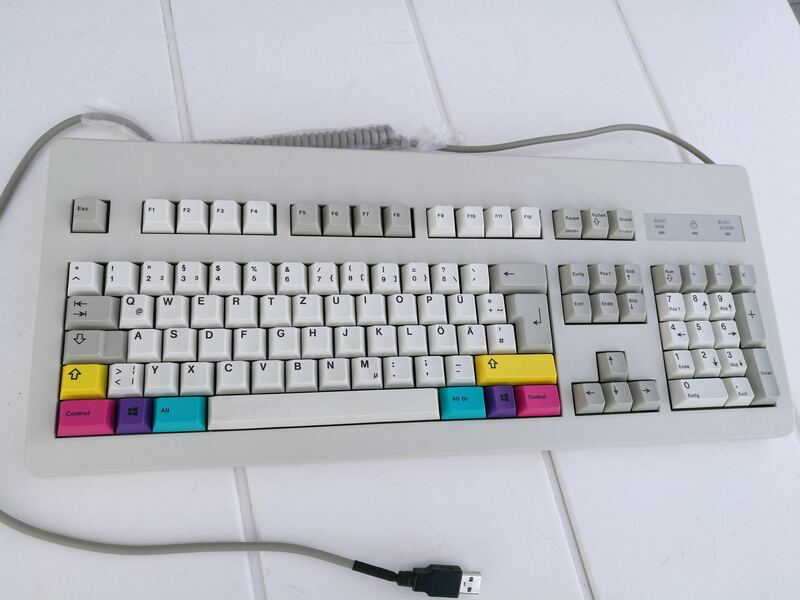 Keycaps are german dyesub from a G81-3000/SAD with modifiers from ghostjuggernaut's CMYK. Switches are Cherry MX Silent Blacks from VicareyG's group buy. 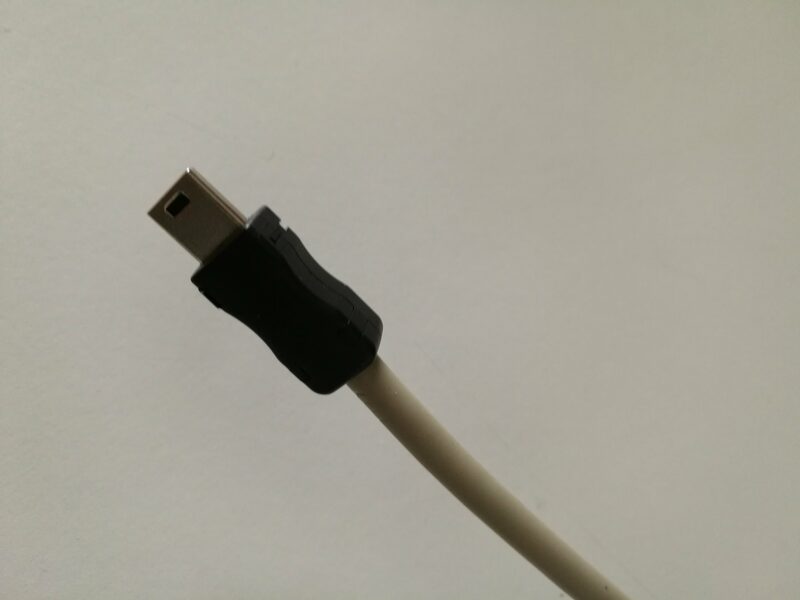 USB cable is custom made by me from a spare DIN5 cable to which is soldered USB connectors. Wow - that is one great project right there! I have a box of g81-3000 shells to use with such PCBs. 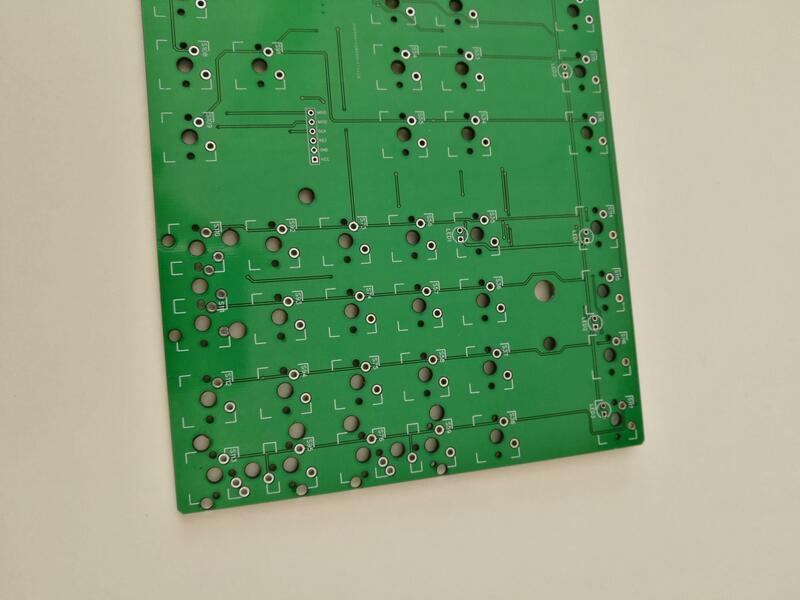 Did you assemble the PCB yourself? 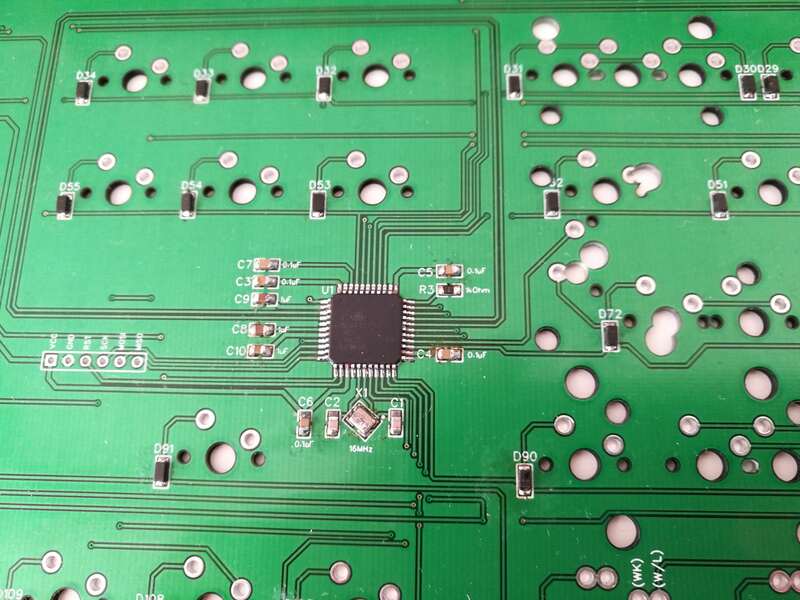 What was the cost of such PCB (if I may ask)? Where did you print the PCB? Designed and assembled myself. I paid $29.72 (plus shipping) for a batch of five PCBs at EasyEDA. I paid $29.72 (plus shipping) for a batch of five PCBs at EasyEDA. Damn, that's incredible. When I ran a small batch at PCBwing, it was well over a hundred, and that was for smaller PCBs! I was asked over a hundred euros for two PCBs here in Italy. Even with DHL shipping from China, the whole lot costed me less than that. Updated post #2 with a picture of a fully assembled keyboard. Will you be willing to sell me one of your PCBs? Or sell them in future partially assembled (Atmega, diodes etc in place)? I'm sorry to turn you down but I'm not offering assembly services as it's dreadfully time consuming, besides shipping from Italy usually costs a small fortune, especially for such a large item. If I ever get to put an extra one together, I'll let you know. At the EasyEDA pricing you could order 5 and have some to make mistakes on - it wouldn't be much more than shipping one from Italy. Believe me, you want some backups for mistakes! And if all goes well you can have 5 fully working boards! is g3000 a standard 104 layout? can i make a plate using preset 104 layout from kle? Not quite. The F-row gap is wider than, say for reference, a Filco and the case doesn't allow a full plate unless you modify it. Very interesting. As I said before in another thread, making the pcb thicker can make a huge difference (you can double the rigidity by going from 1.6mm to 2.0mm). Would you make available a dampening material to support the pcb in the case? I have a g80-3000 and it's not very solid, that's why I'm asking. 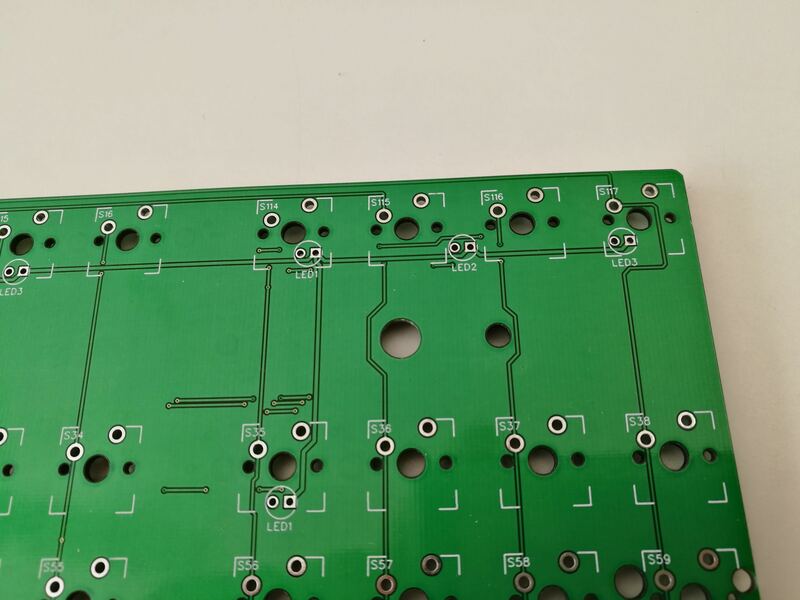 making the pcb thicker can make a huge difference (you can double the rigidity by going from 1.6mm to 2.0mm). 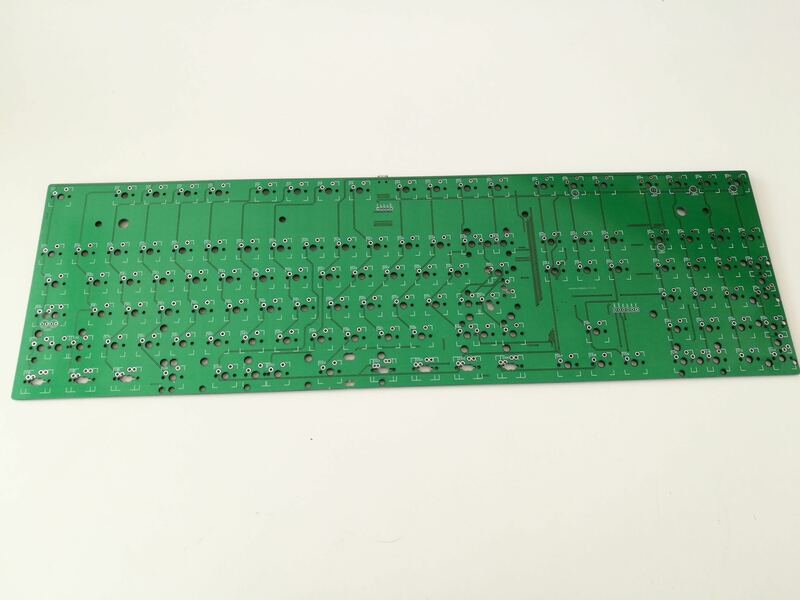 I've checked the manufacturing costs with EasyEDA for a thicker PCB and I gotta say it's not worth. The price increase would be massive. I believe a 60% plate adds enough rigidity to the case without any need for a modification. Would you make available a dampening material to support the pcb in the case? 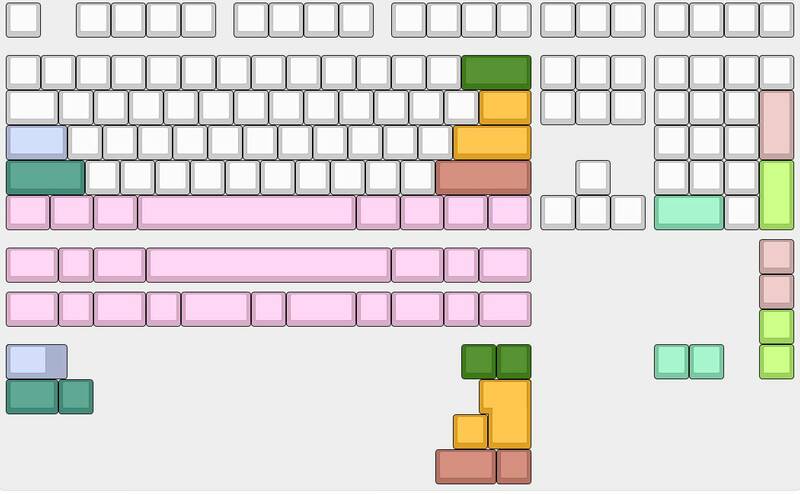 Frankly, I wouldn't know where to start but the project is opensource, so if anyone wants to organize a GB for this board, maybe they can add such feature. Too bad for the price increase. In a 1800 keyboard the increase is 1.5 USD. Anyway this project seem to complicated for those who need to learn soldering. I can learn to solder switches, but the other bits seem too difficult. Anyway this project seem to complicated for I've who needs to learn soldering. I can learn to solder switches, but the other bits seem too complicated. Everything but switches and LEDs indicators are SMD and I'm aware that could be tough for the average user, but many PCB factories offer assembly services. I just tought it would be pointless to have through hole diodes when capacitors and MCU are SMD anyway. Wow somehow I missed this. Many thanks, will check it out. I presume with a plate you need to either make some alterations to fit the plate along with the PCB or then you would need to make some heavier mods to the case itself? I'm working on a plate for my 3000 and started wondering if I want to handwire it or use this instead. I presume with a plate you need to either make some alterations to fit the plate along with the PCB or then you would need to make some heavier mods to the case itself? The latter. You need to modify both the plate and the case. This thread should give you an idea how a plate for such cases is designed and, consequentially, what are the necessary modifications to make to your case. 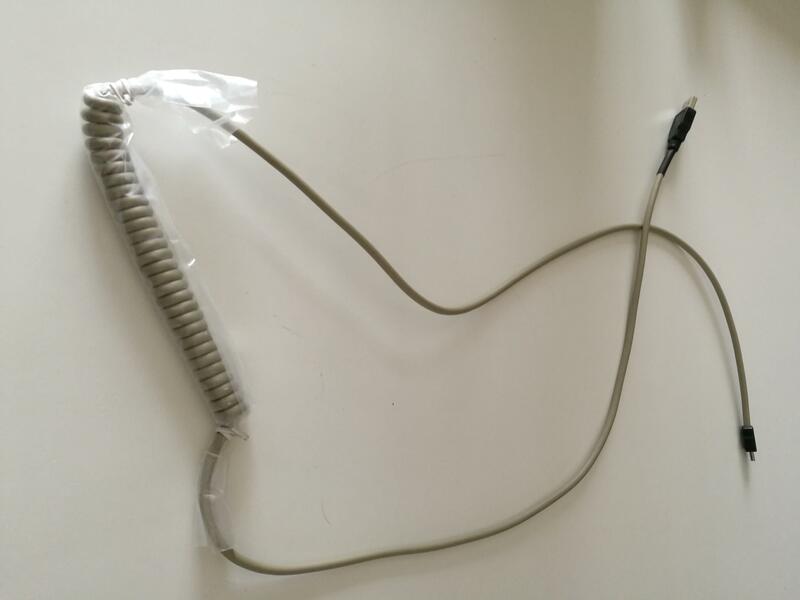 I'm working on a plate for my 3000 and started wondering if I want to handwire it or use this instead. I've seen your thread and I'm totally supporting your idea, hoping that this PCB will ease your work with all the measurements. Thanks! I will check out that thread and dig deeper into the PCB design also. Hey thanks for this! This is just what I was looking for. 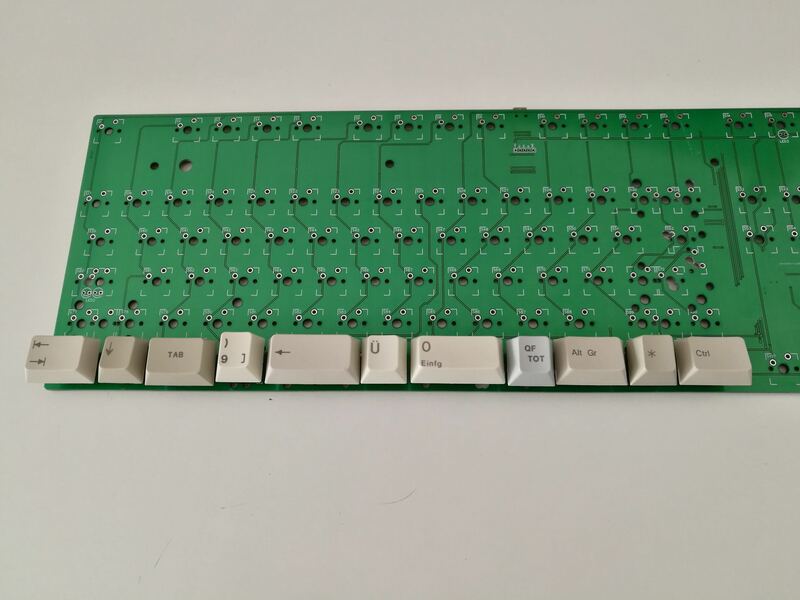 I have a custom CNC case for a g80-3000 and I would really like NKRO with it, and other G80 replacement PCBs were prohibitively difficult to get. I'll go and order some for myself and see how it goes. 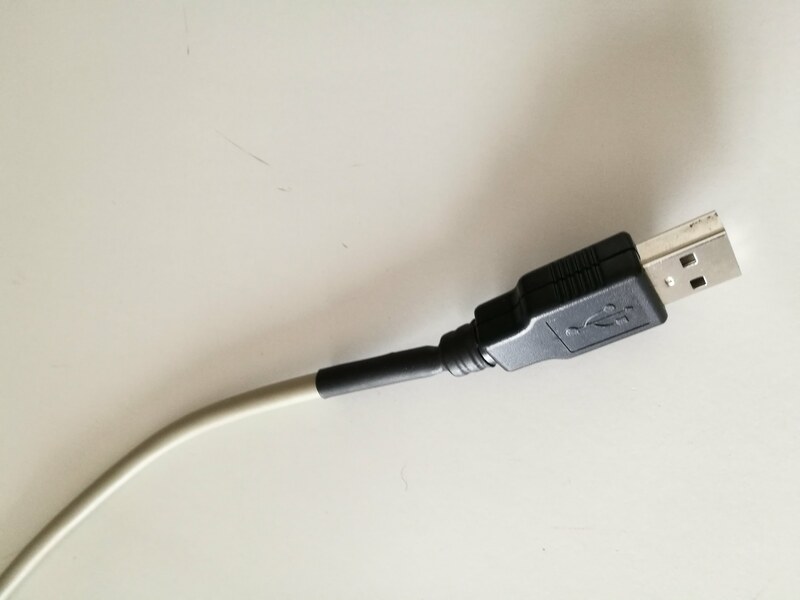 Anyway I'll research the datasheets a little and put together a BOM and a mouser/ digikey cart so other US-based people can easily buy what they need to make this. edit: is there any way we can export it from easyeda? Do you have the gerbers available? It looks like you can open it in the easyeda editor, but I dont know about exporting it from there. It's fairly easy if you reflow with a soldering iron or, better yet, a hot air station. I know the board is gigantic but SMD crystal are immensely smaller than the TH ones and that's the reason I use them. Theoretically you can edit the project and replace the crystal with a TH if you like it better. is there any way we can export it from easyeda? Do you have the gerbers available? Sure, press Gerber Output in the editor then you can either place the order on EasyEDA or download the Gerber. Thanks to you for checking it out. 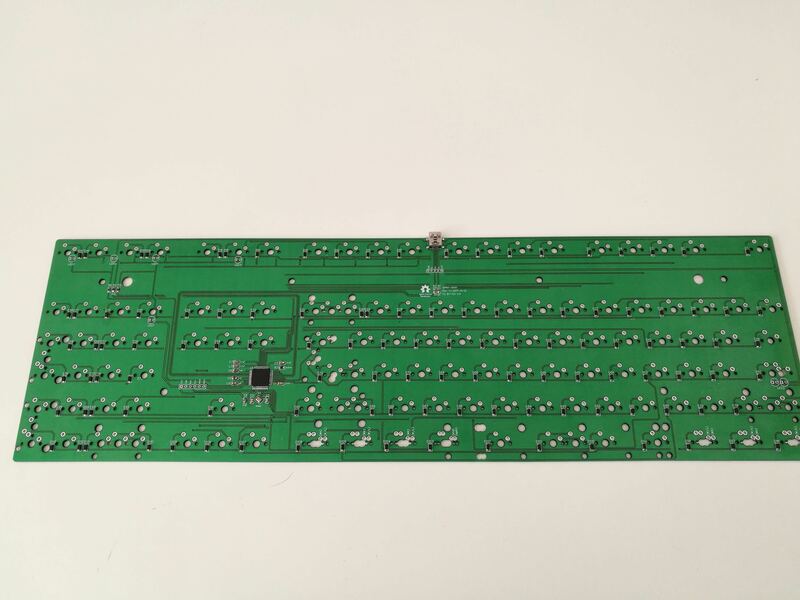 Hello, do you know if this PCB would an Olivetti 2811 case? It does fit the Olivetti KBD 2812, but I don't know if the 2811 is any different. Thank you for this awesome project, the only reason why I don't use my G80 as much is the lack of QMK, so I'm very interested in this! I have a question about case compatibility: Does the PCB sit flush on the horizontal plastic spacers of the common G80 case, or do some SMD components interfere with that? 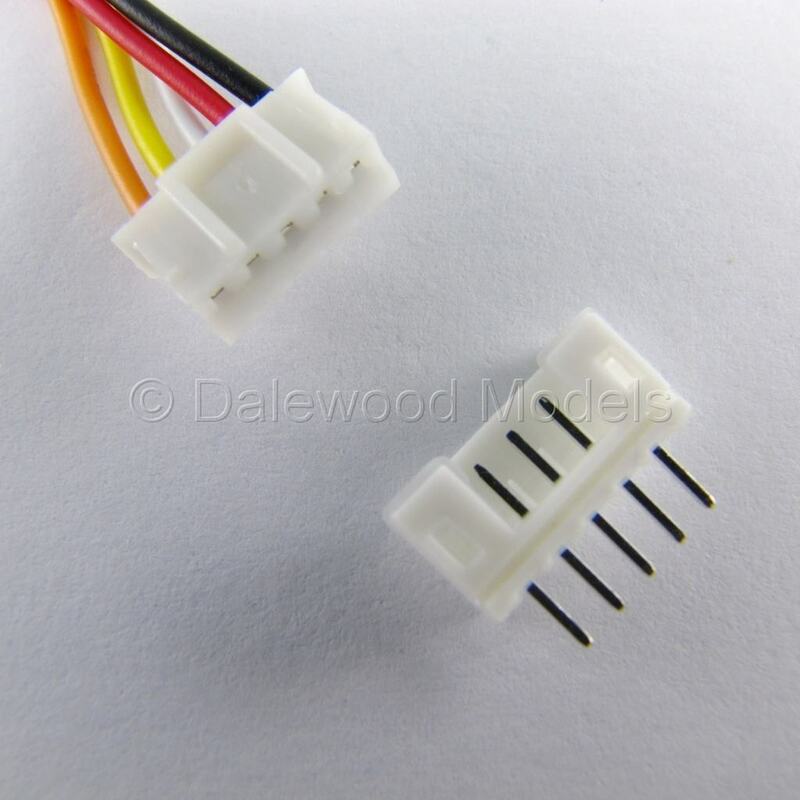 Does the PCB sit flush on the horizontal plastic spacers of the common G80 case, or do some SMD components interfere with that? SMD components are placed in between the standoffs so the PCB sits flush. Nice work, dude. Btw, is it possible to add LEDs? is it possible to add LEDs? Not without some re-work. I used all the available pins but theoretically you could use three SK6812 RGB LEDs for the indicators and free two MCU pins which you can then use for backlighting or underglow. Although I have no experience with RGB LEDs and have no clue wheter the power consumption is manageable on a full size board. Upon closer inspection, I'm seeing that this will not fit a 2000s G81-3000 unless the bottom case is cut in places as well. I'll try to get an image up with spots where the case would need to be cut. 3. LED area has a controller standoff thingy area but I think that is not an issue to mod out. I think your G80-3000 is a different model or then G81 and G80 are quite different after all. 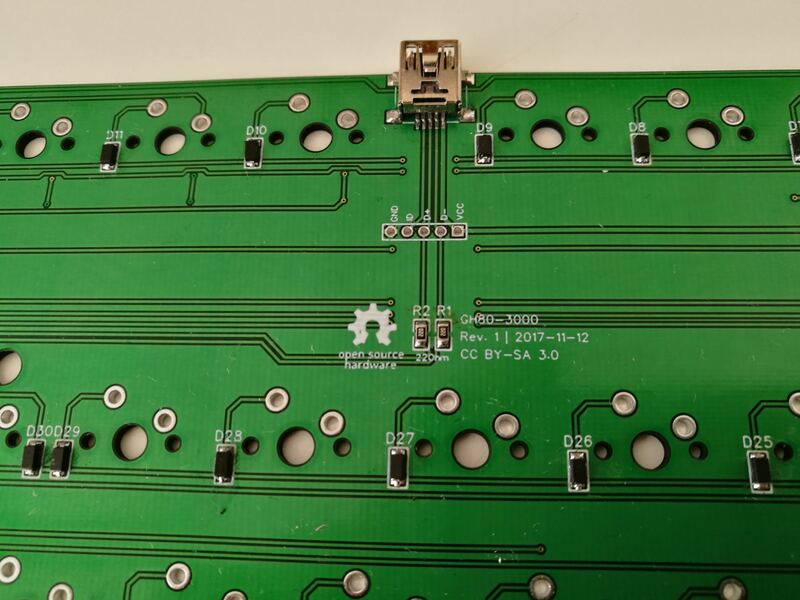 I will be adding the positions of the current GH80-3000 PCB screw holes and alignment poles to my plate so the plate works better with this PCB. I'm not following you on the LED area but I appreciate you telling me about these differences. Looks like the holes won't overlap any trace so I can add them right away. I just need the diameter and the positions of them. Gotta find a modern 3000 case then. The "LED area" (three status LEDs) contains the G81 controller which is wired to the main MY-powered membrane sheet. The LED area has standoffs and all sorts of protrusions to keep the controller and wiring in place. They can be safely cut off in any case (pun not intended), so I think it is OK to leave the LED area as is for the PCB. The alignment poles (marked "2" in my image) are slightly larger on the G81 as well, with a total diameter of 12.15mm. Let me know if you need some better photos or measurements from my case. Hey, great project, thanks for making it Open Source! In the original post you mention you designed this for G80 AND G81 cases. I have a 1993 G81-3081 HAD case which is different from ojrask's modern one (can provide pictures if wanted). Will the PCB fit? At first glance the screw holes and bolt cutouts of your PCB match those on the case, except for the one between numpad and arrows (mine doesn't have anything there); this is assuming the PCB is mounted to the top part of the case. Is this correct? Wouldn't having only 4 screws between num and F row result in stability issues? 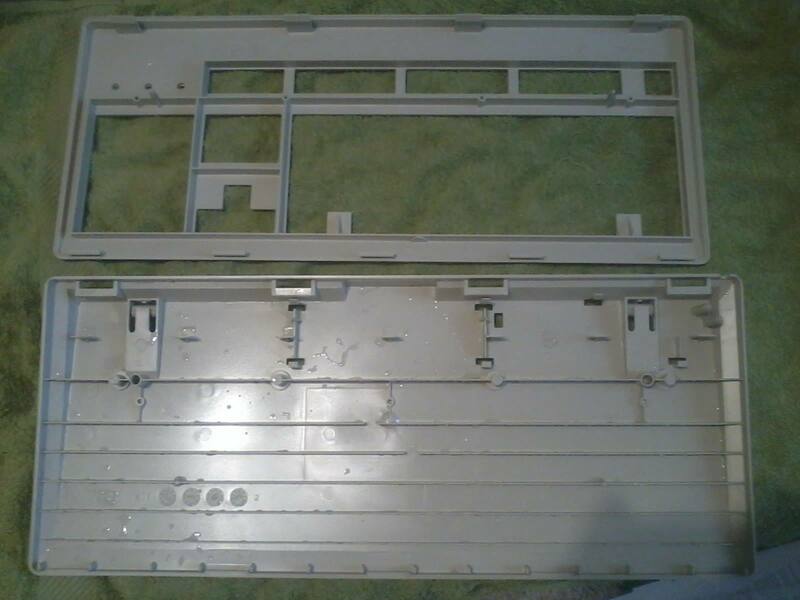 Edit: Here's an image of the 2 case parts. Has anyone used a case like this in conjunction with OP's PCB? Hello pngu and thanks for your comment. The PCB will fit your case, I have the very same one. I haven't forgot about the modifications proposed by ojrask, I've just been lazy. So it's indeed supposed to be mounted into the top half of the case? It seems that the clearance between the two parts of it is upwards of 2mm, though it's kinda hard to measure with calipers. No stability/flex/kerplunking around issues, or would I need to apply some padding to the rear side of the PCB to ensure a snug, friction mount fit in addition to the 4 screws? 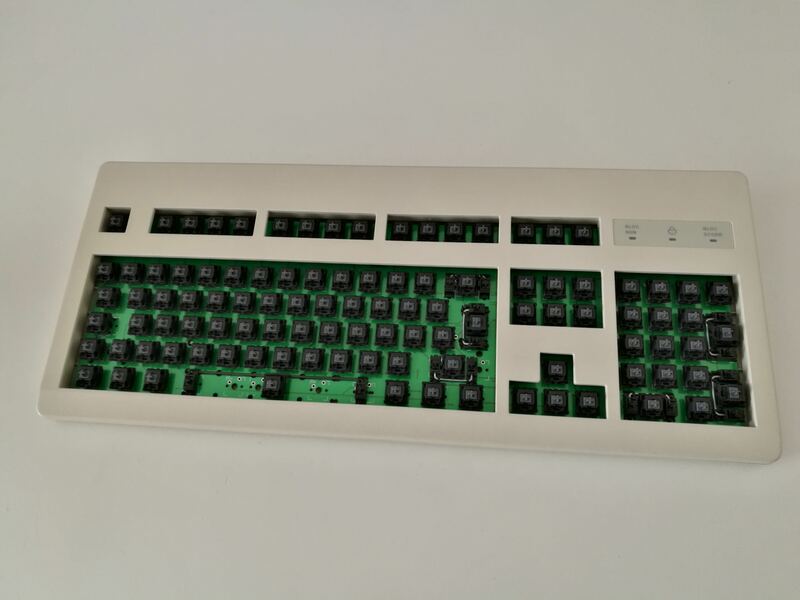 This PCB would be a great way to turn my otherwise unused G81 into a nice little project. So it's indeed supposed to be mounted into the top half of the case? It will be clamped between the two halves. Just like the stock PCB. No stability/flex/kerplunking around issues, or would I need to apply some padding to the rear side of the PCB to ensure a snug, friction mount fit in addition to the 4 screws? Surely it's as sturdy as a keyboard with a plate, but overall it's solid. Alright, I'll give this a whirl. Will be my first time soldering SMD aswell so having spare PCBs isn't particularly bad either. Mille Grazie! With the proper tools it's gonna be easy. Edit: Just to make sure I'm not being an idiot, I can solder the board including the MCU and then just plug it in and flash like I would do with a retail PCB or Pro Micro, right? Or would I need specialized hardware/additional procedure to get QMK working with this? I can solder the board including the MCU and then just plug it in and flash like I would do with a retail PCB or Pro Micro, right? Yeah I too was worried about heat guns damaging MCUs or not being motorically gifted enough to operate the 0.5mm tip for my soldering iron. I laughed pretty hard when I saw him do that. Aight, thanks a ton! I ordered the PCBs and parts yesterday. Gonna share pics of the board with you when it's done! Gonna share pics of the board with you when it's done! LCSC are currently out of stock of 1k resistors 0805W8F1001T5E and 100nF capacitors 0805F104M500NT with lead times of at least 2 months. For EU folks Reichelt seems to have matching offers but it doesn't make sense for me to pay 6€ shipping on a 2€ order when the rest of the components is going to take a while to arrive at my place anyways. I added a BOM for ease but any 1K 0805 resistor and 100nF 0805 capacitors would do. If you haven't placed your order yet, you can buy, among many others, these resistors and these capacitors.